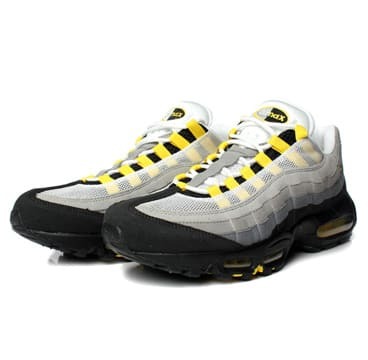 Kicks of the Day: Nike Air Max 95 "Grey/Tour Yellow"
Air Max 95s are a solid play, no matter what time of year. And here we have the latest of the classic runner from the Swoosh in a "Grey/Tour Yellow" spread. You know the drill with the AM95 — suede and mesh upper, fading hues, and vibrant accents. So if you&apos;re feeling these — hit up Wish to cop for $145.